‘The self-portrait is a way to articulate my personal experiences through invented narratives while engaging my interests in contemporary aesthetics and traditional portraiture,’ says Yvette Coppersmith. Born in Melbourne in 1980, Coppersmith holds a Bachelor of Fine Art (Painting) from the Victorian College of the Arts. She exhibits in Melbourne, Sydney and Brisbane, and has also been included in several group shows in Europe. She won the inaugural Metro 5 Art Prize in 2003 and has been a finalist in the Archibald Prize (2008 and 2009), the Rick Amor Self Portrait Prize, the Arthur Guy Painting Prize, the Fletcher Jones Art Prize, the Portia Geach Memorial Award and the Doug Moran National Portrait Prize. 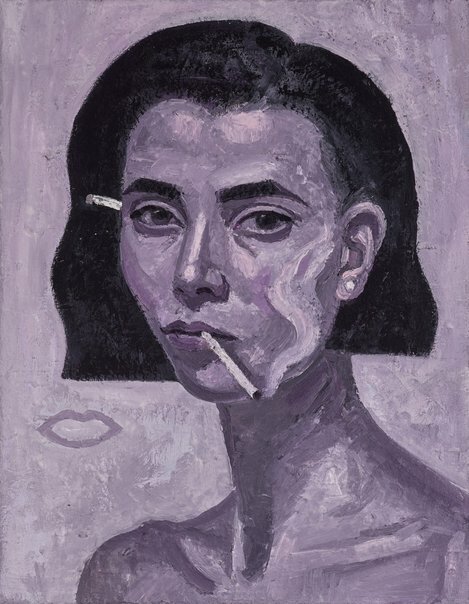 Her works are held in the collections of Artbank, Trinity College, the University of Melbourne, Supreme Court of Victoria, Benalla Art Gallery, Melbourne High School and the Jewish Museum of Australia.